Foreign governments are making hundreds of millions of pounds a year running British public services. Swathes of Britain’s energy, transport and utility networks are run by companies owned by other European governments – meaning foreign exchequers reap the dividends while UK customers struggle with increasing fares and bills. In the past two years alone, overseas taxpayers have taken dividends totalling nearly £1bn from companies which make their profits from UK households and passengers, boosting the position of those who argue that the railways should be opened up to publicly owned UK operators, or even renationalised. An analysis of companies’ financial filings for the last financial year shows that currently 20 national train lines are run or owned by foreign state-owned or controlled companies. Only last month, the ScotRail franchise was offloaded to the Netherlands’ state-owned Abellio. 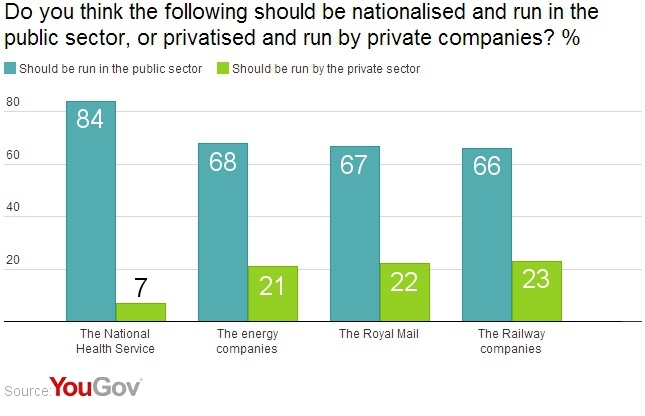 While privatisation was meant to bring the business acumen of the corporate sector into public utilities, increasingly it has allowed foreign governments and their state-owned operators to make vast profits out of the UK. Meanwhile, British firms have almost no presence in overseas utilities markets and, since the takeover of Arriva by Germany’s state-owned Deutsche Bahn, only a small share of global public transport. As a result, vast amounts of British citizens’ bills and fares leave the country in the form of dividends to taxpayers in continental Europe, funding their schools and hospitals. Foreign taxpayer-owned transport companies received £102m in dividends from UK train fares during the past two years. That figure is dwarfed by the £900m sent back to foreign governments from British household energy bills. 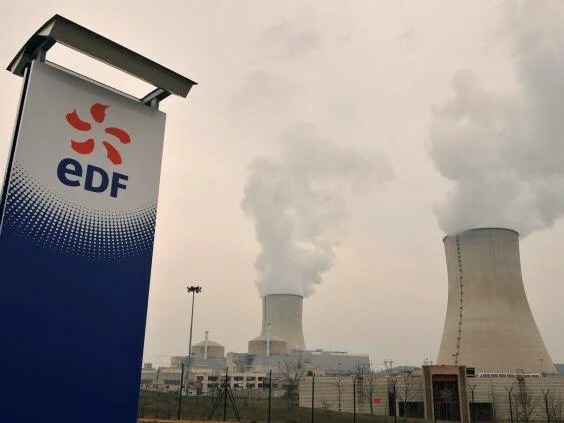 These came from dividends taken out of the UK by EDF, majority-owned by the French state, and the industrial energy supplier GDF Suez, part-owned by France. Other foreign energy players are also taking huge dividends from UK electricity bills but are remitting them to private investors. For instance, Scottish Power’s Spanish owners Iberdrola took a £600m payment. With consumers paying an average of £410 more a year for energy compared with a decade ago, The Independent’s findings shine new light on the motivations of foreign energy suppliers. In the rail and bus industry, German and French taxpayers are the biggest players, with German state-owned Deutsche Bahn and French state-owned Keolis running large chunks of the networks. But Hong Kong also owns UK rail and bus operators, while taxpayer funds in Singapore, China and Qatar are big investors in the Heathrow Express rail route. Critics of recent governments say they have been ideologically opposed to state ownership in a way the European firms who run British infrastructure are not. They cite how the East Coast Main Line rail route was handed back to the taxpayer in 2009 by National Express because the company could not make enough money from the contract. Since then, it has been run as a “Directly Operated Railway” and performed well and with a healthy surplus to the taxpayer. However, the Government has decided to sell it to the private sector again, with French government-controlled Keolis and Eurostar among the bidders. Arriva pointed out that it had retained its operational independence although it was now owned by Deutsche Bahn and said it had invested €750m (£599m) in the business in the past two years. However, accounts showed its British arm, Arriva UK Transport Limited, paid a £15m dividend to its parent company. The Independent also examined water companies but, while they are mostly owned by private equity firms with controversial tax avoidance strategies, only one, Yorkshire Water, is state-owned, being 26 per cent owned by the Singapore government’s sovereign wealth fund. Last year Yorkshire Water’s holding company Saltaire did not pay a dividend. But the Scottish Government defended the plans, saying Abellio was simply offering a better deal to both passengers and the taxpayer. 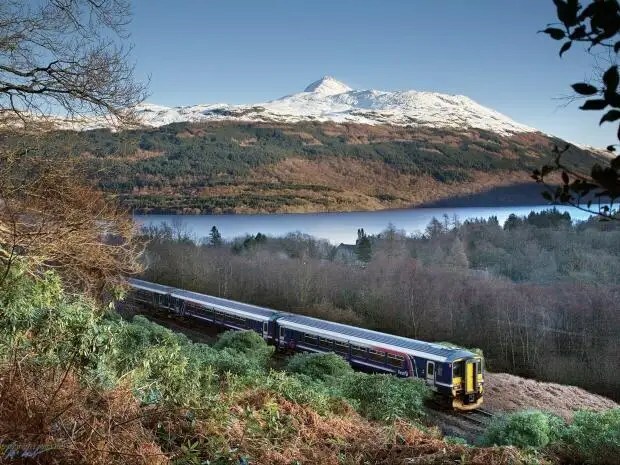 It highlighted the company’s plans for reduced fares for jobseekers, a commitment to a living wage for staff, as well as more trains and £5 fares between any two Scottish cities. The deal emphasised the global nature of public service provision today – while First-Group lost out to a Dutch company, it too is international and runs America’s culturally iconic Greyhound buses.